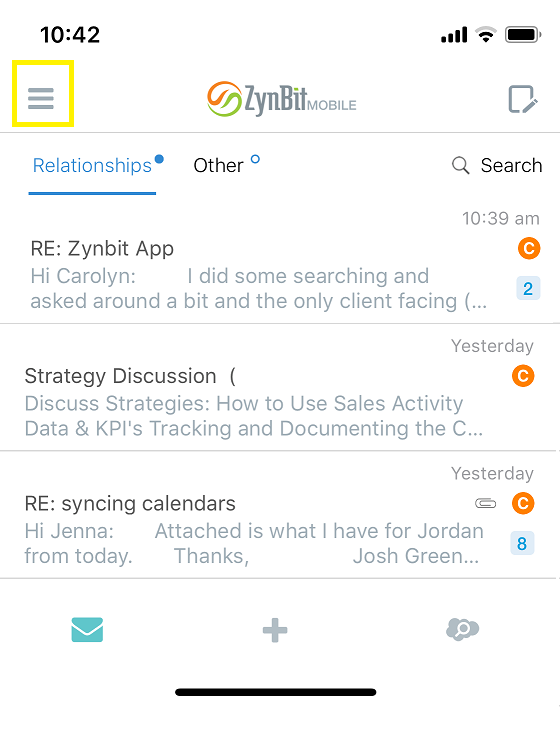 This article explains how to use the business card scanning feature in ZynMobile. This will open your list of business cards and allow you to scan a card by selecting the + icon in the upper left. After you click on the plus sign you will get a camera application where you will take a picture of the business card you want to scan. Select the circle shutter button while the card is clearly displayed in the white rectangle in the center. Once that is complete you will get to see and edit the results if needed. If you scroll to the bottom of the screen above you have the option to delete or create the contact. If you choose to create the contact you will be brought to the following screen where you can create it as a new contact or lead tied to your Salesforce.